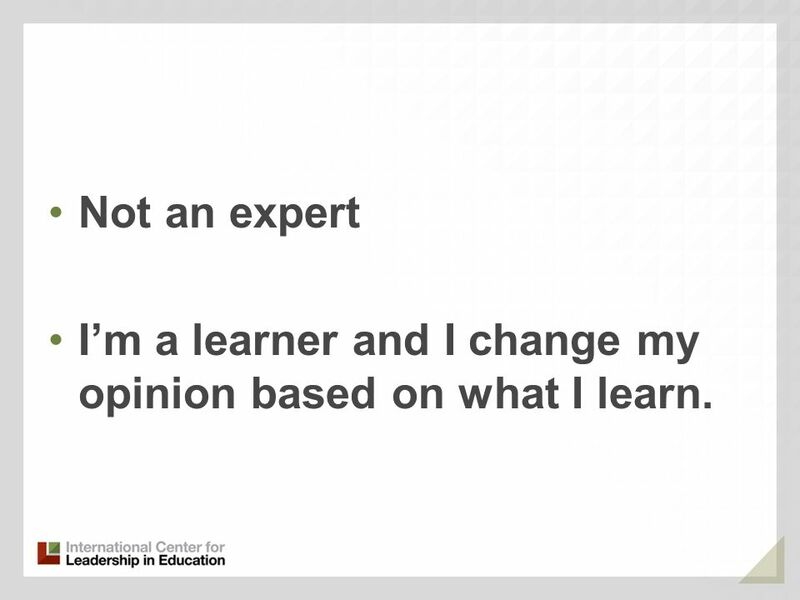 2 Not an expert Im a learner and I change my opinion based on what I learn. 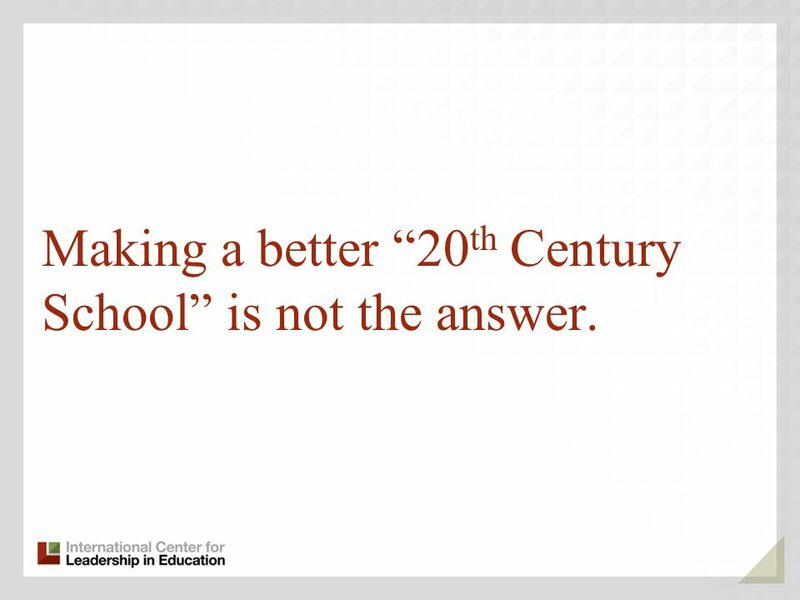 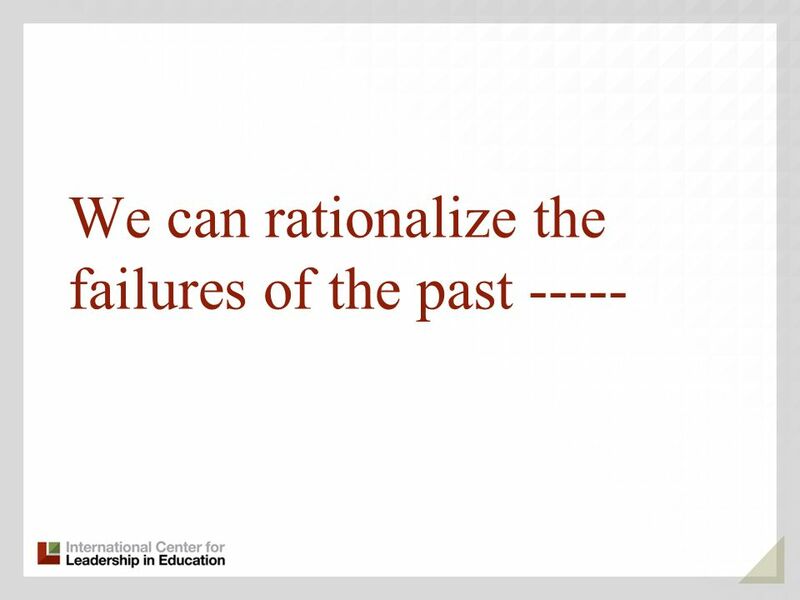 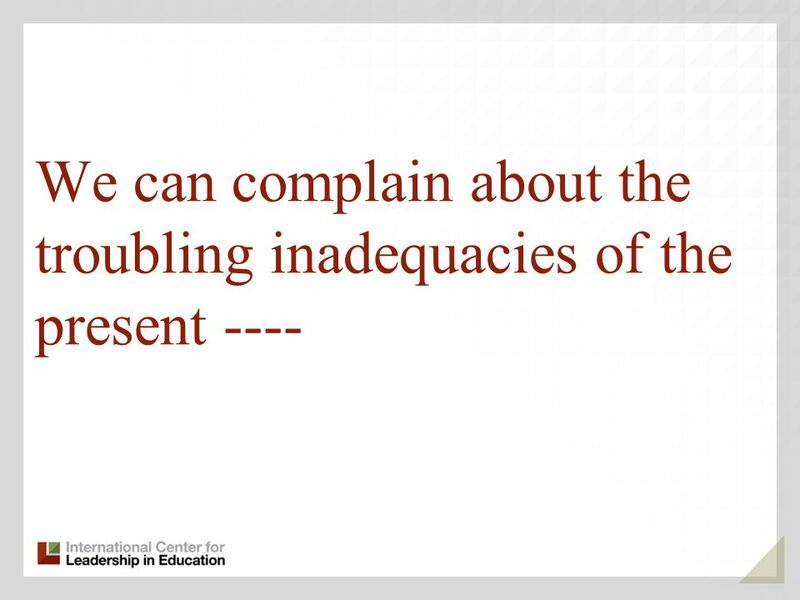 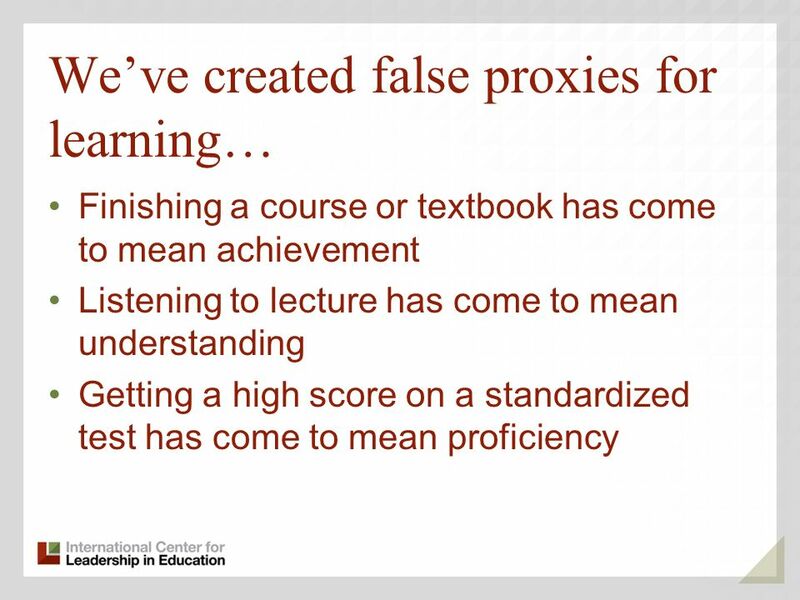 7 Making a better 20 th Century School is not the answer. 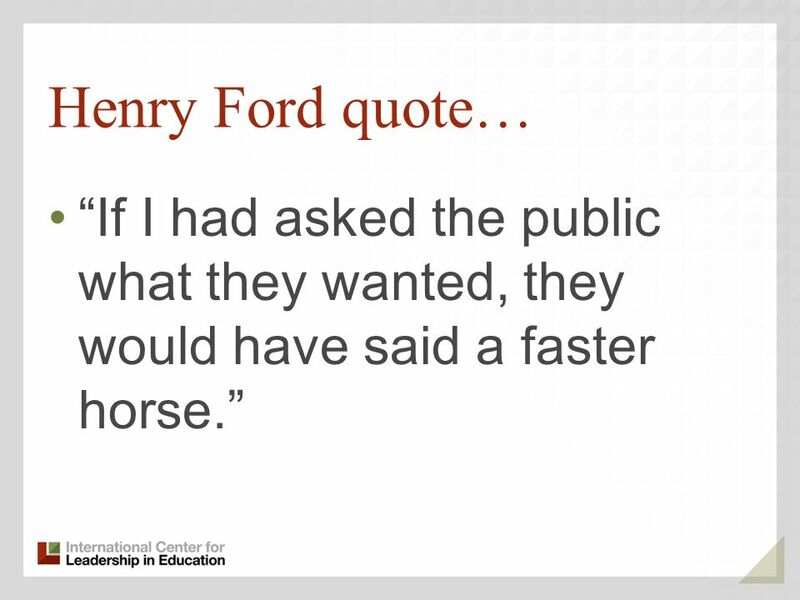 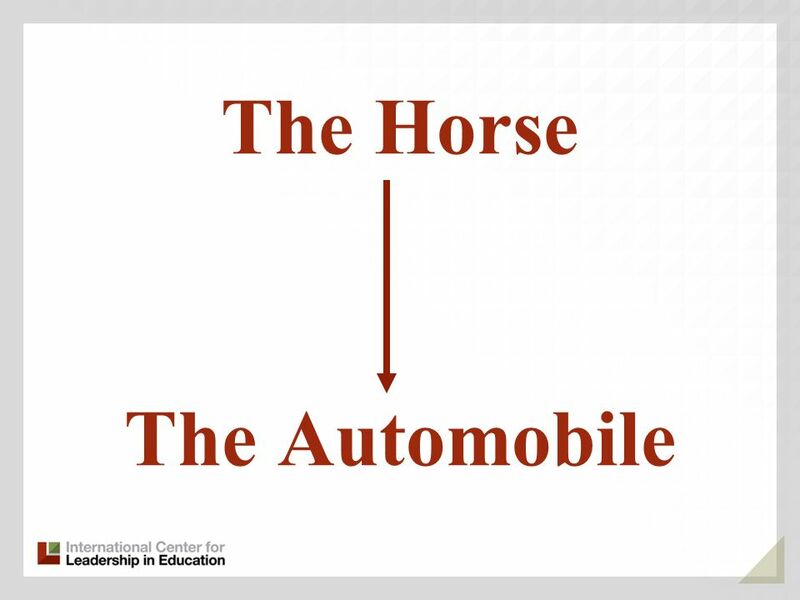 11 Henry Ford quote… If I had asked the public what they wanted, they would have said a faster horse. 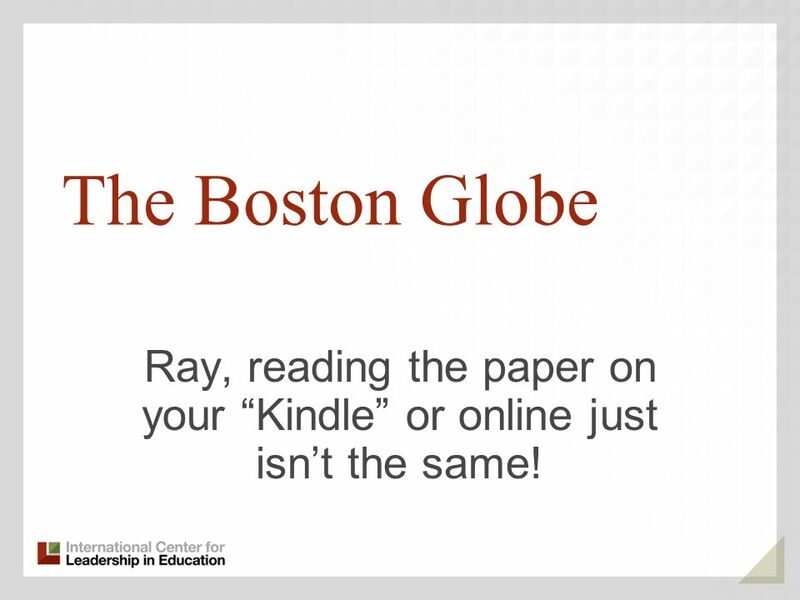 13 The Boston Globe Ray, reading the paper on your Kindle or online just isnt the same! 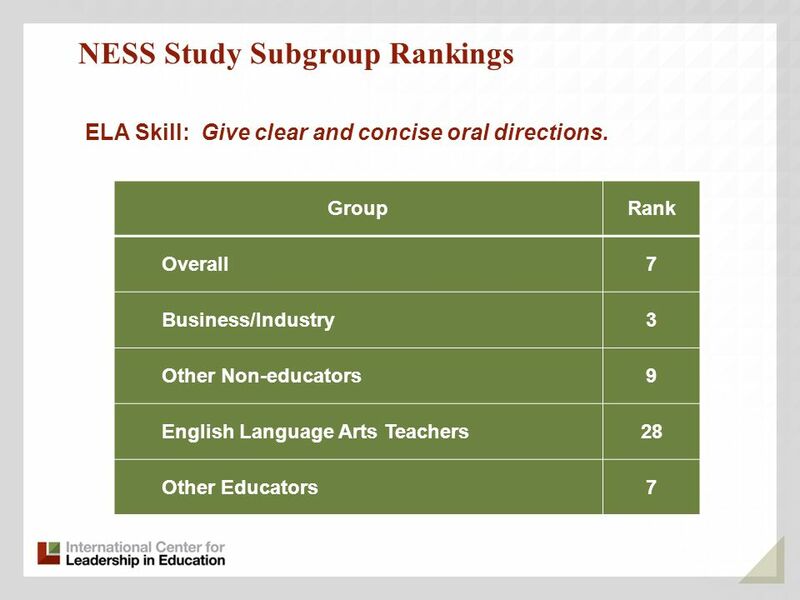 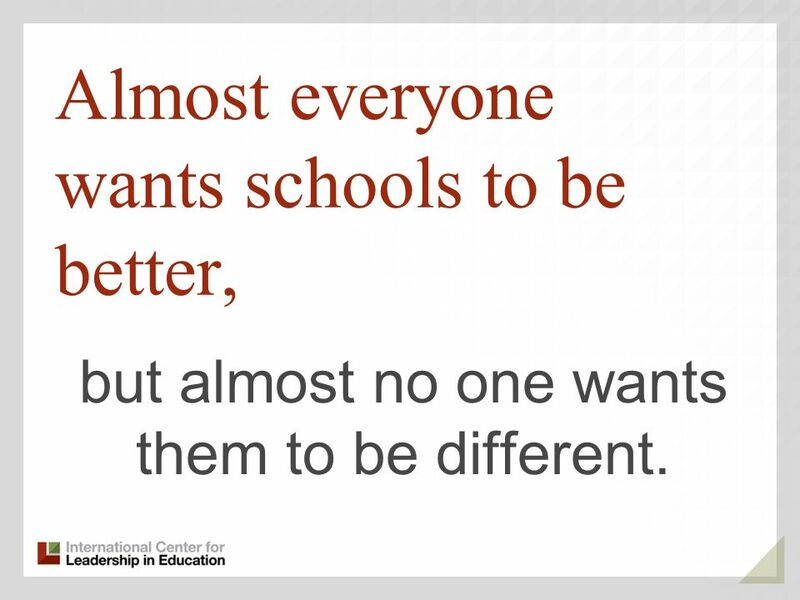 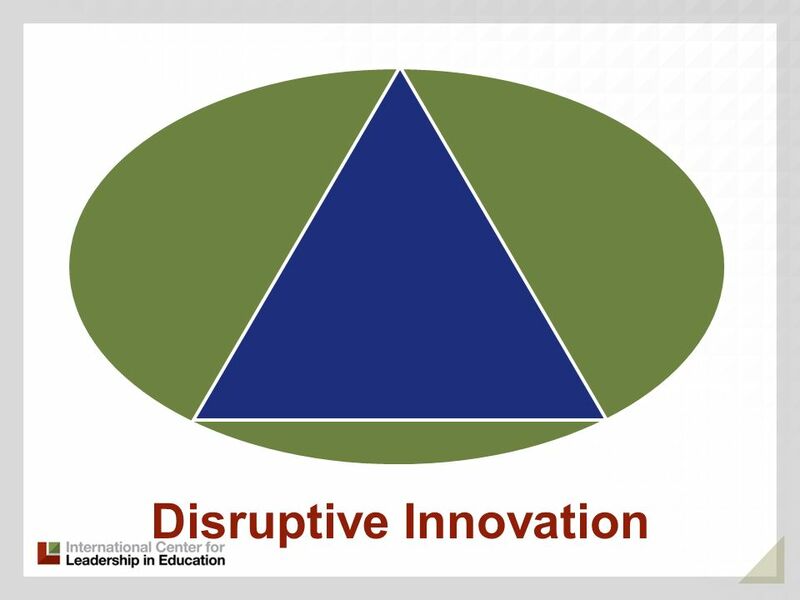 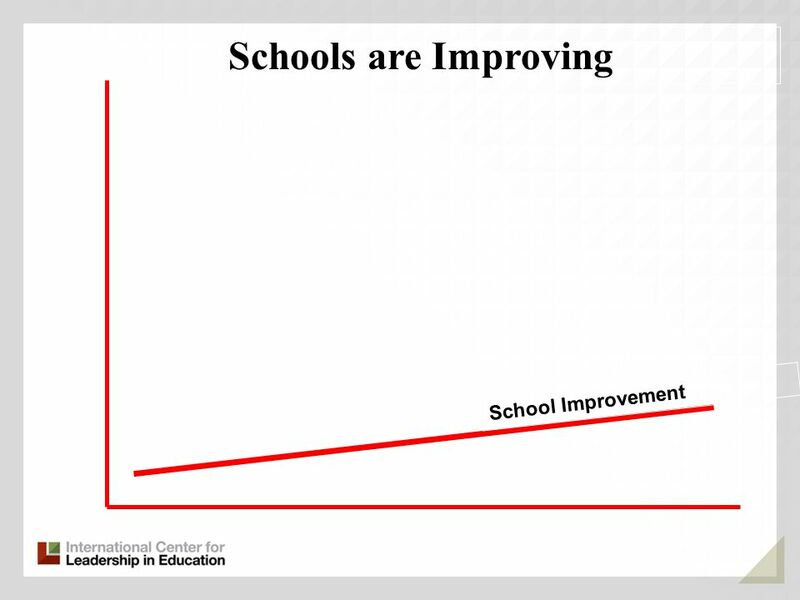 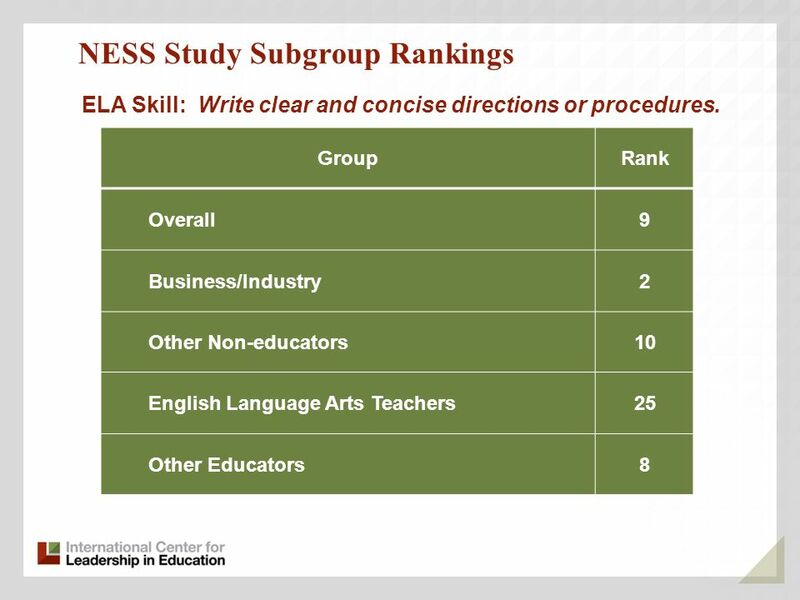 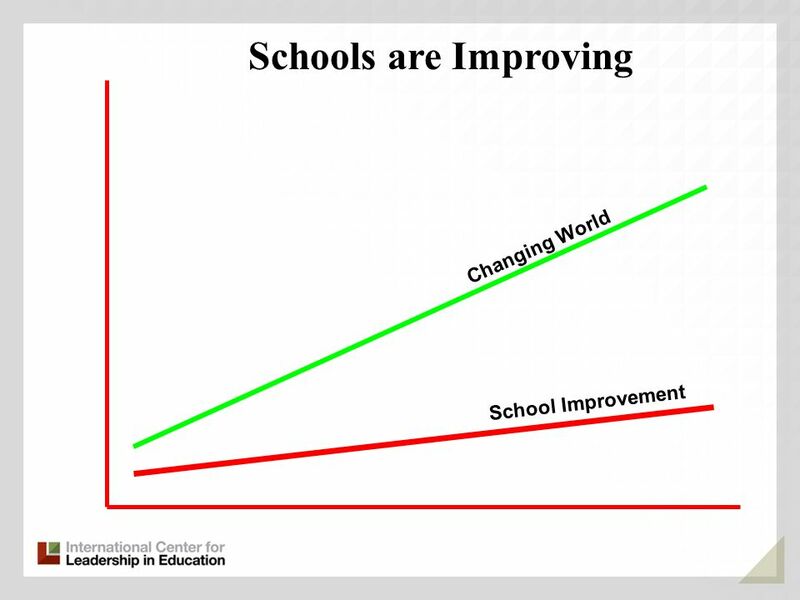 14 Almost everyone wants schools to be better, but almost no one wants them to be different. 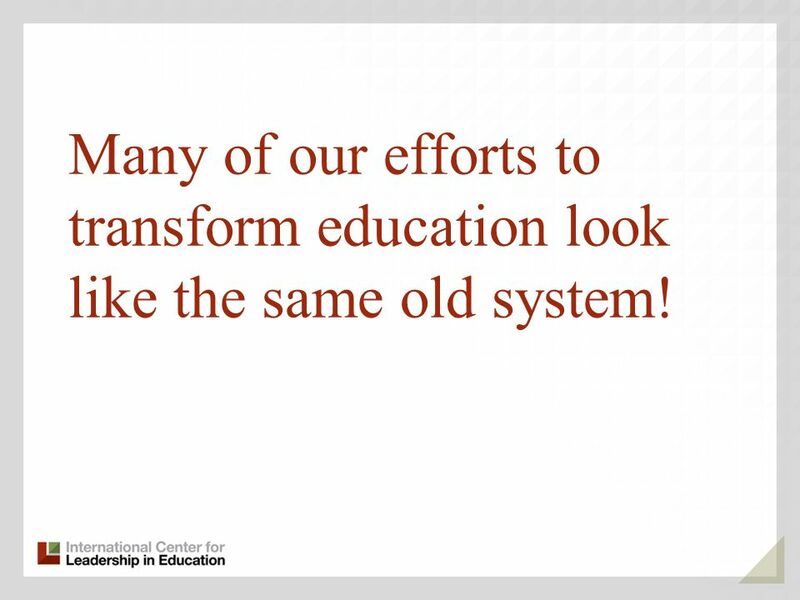 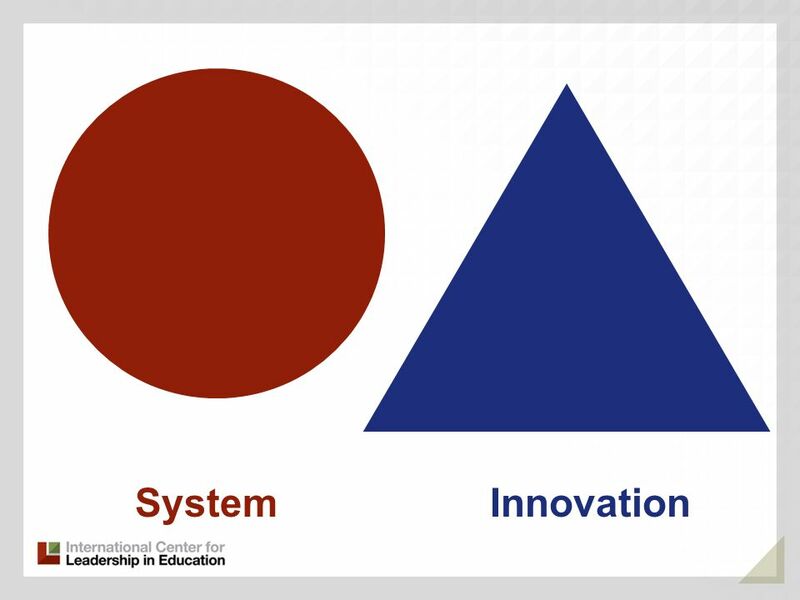 16 Many of our efforts to transform education look like the same old system! 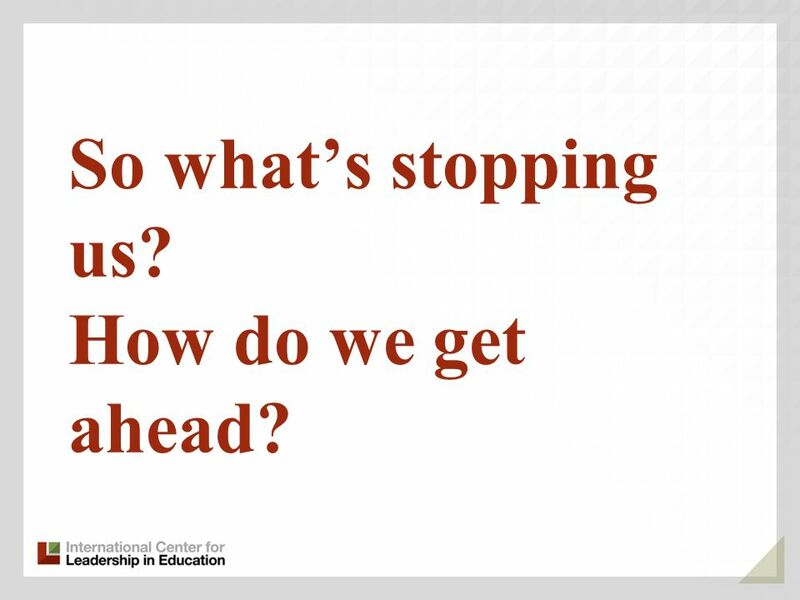 17 So whats stopping us? 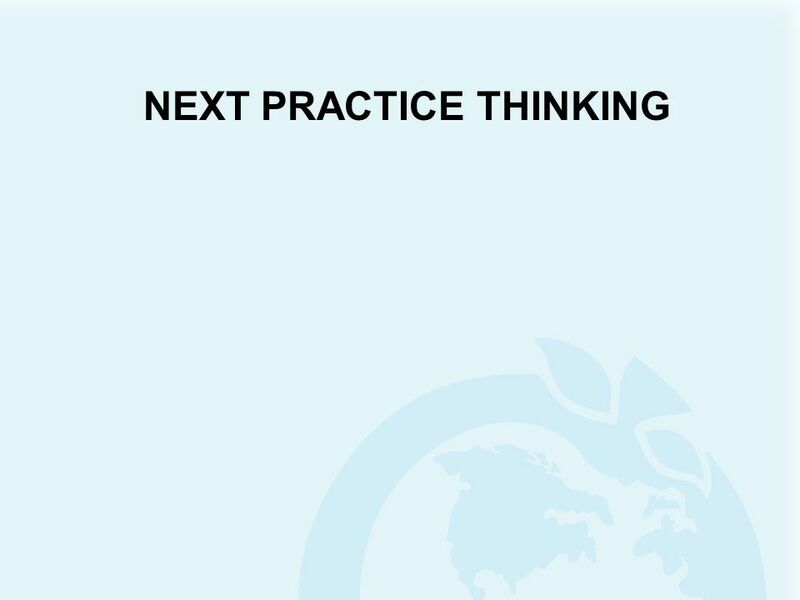 How do we get ahead? 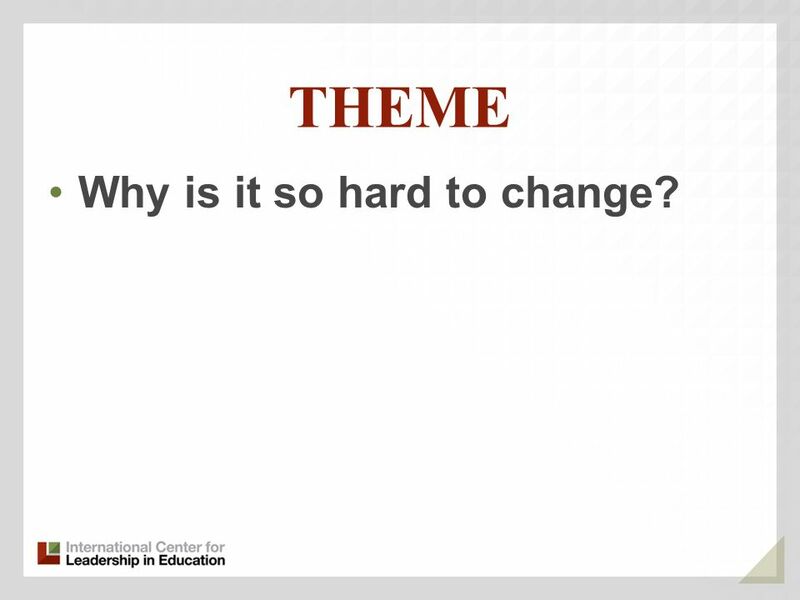 19 THEME Why is it so hard to change? 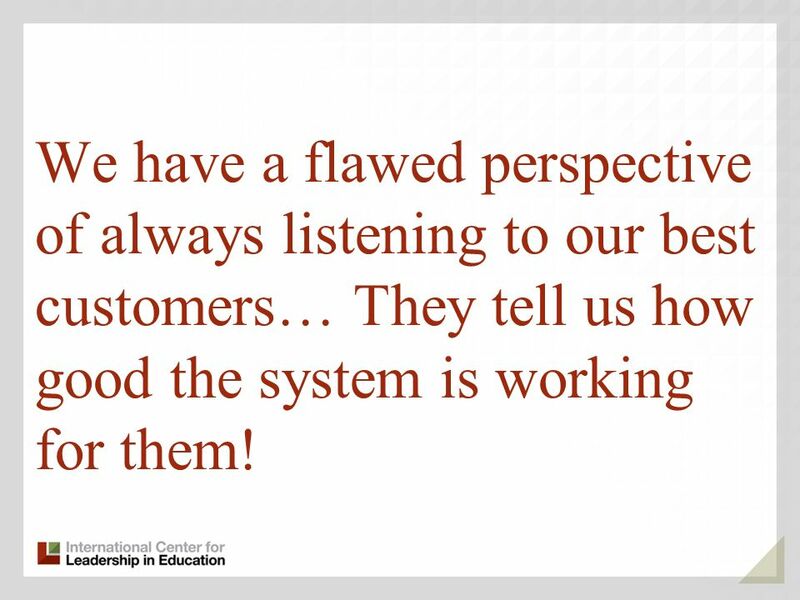 20 We have a flawed perspective of always listening to our best customers… They tell us how good the system is working for them! 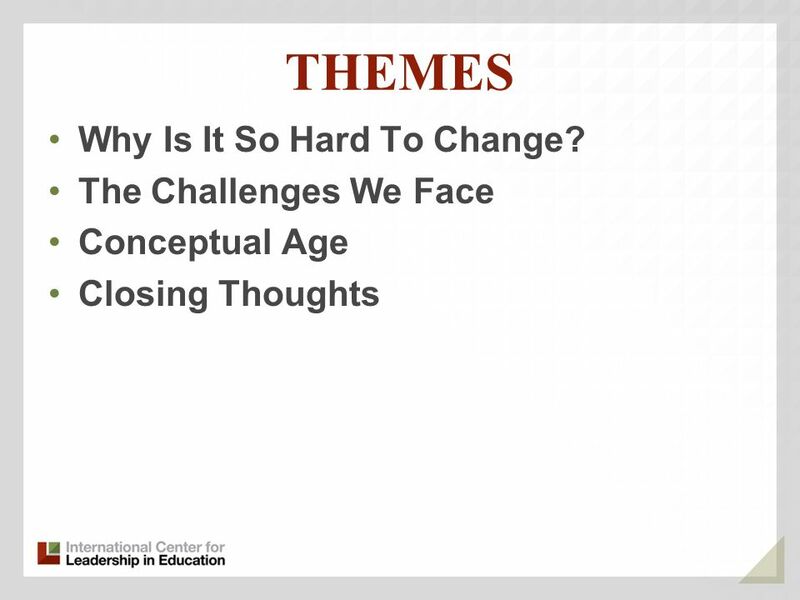 21 Why is it so hard to change? 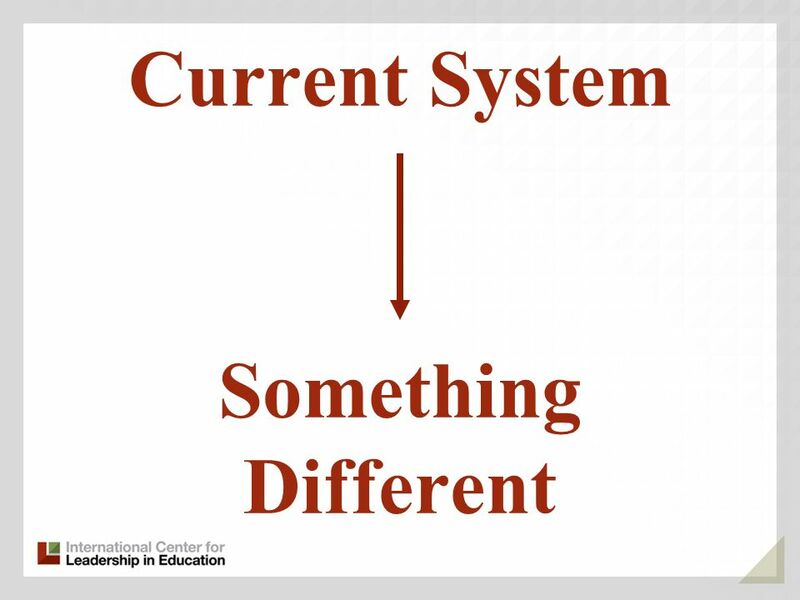 The more successful a system is, the more difficult it is to recognize when it must change. 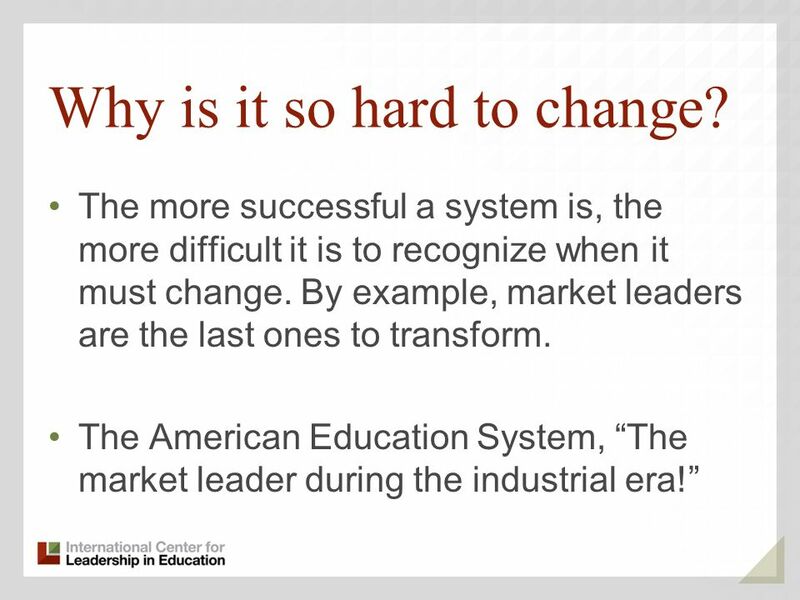 By example, market leaders are the last ones to transform. 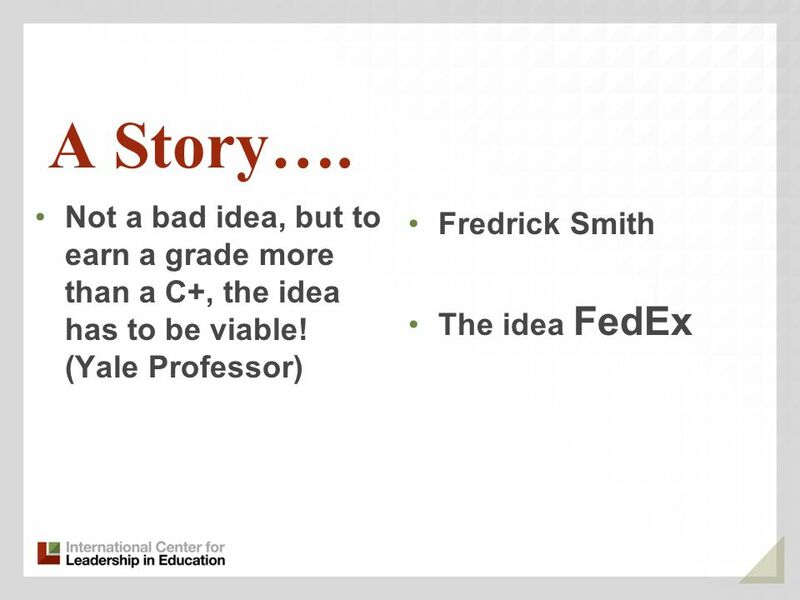 The American Education System, The market leader during the industrial era! 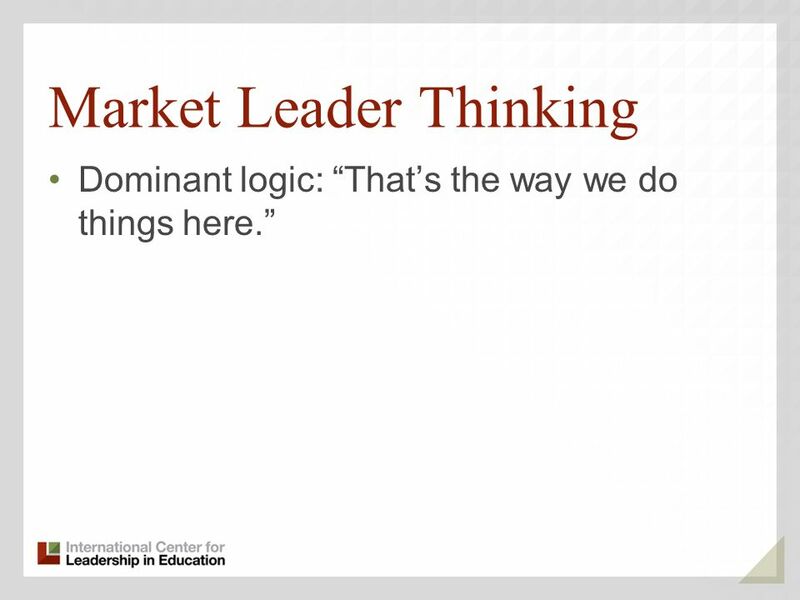 22 Market Leader Thinking Dominant logic: Thats the way we do things here. 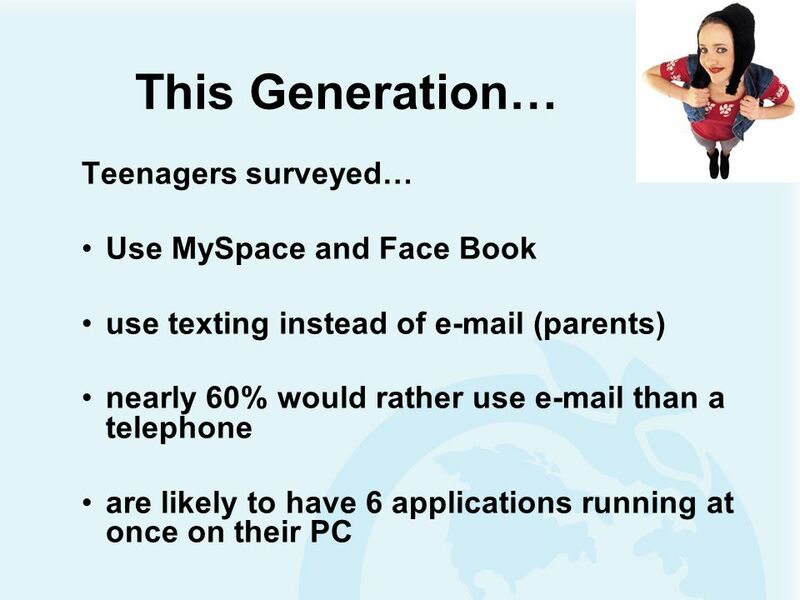 23 What happened to GM..?? 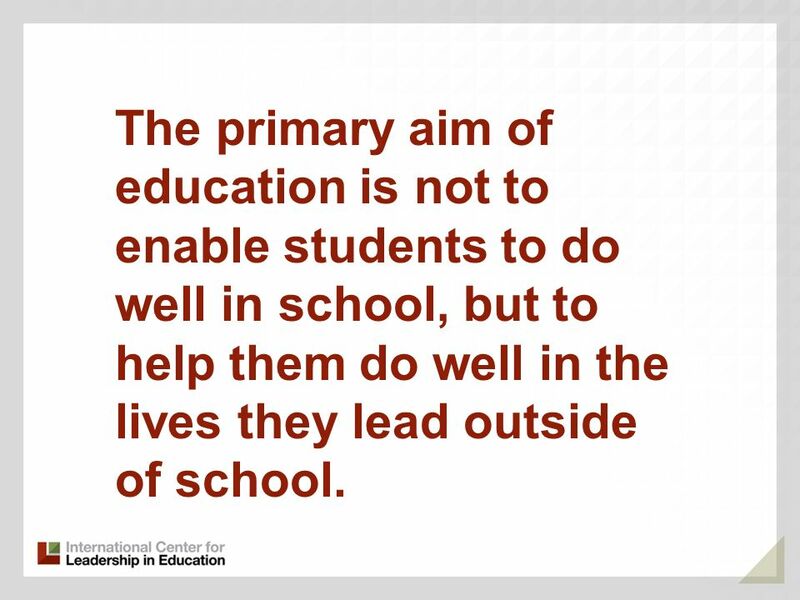 25 The primary aim of education is not to enable students to do well in school, but to help them do well in the lives they lead outside of school. 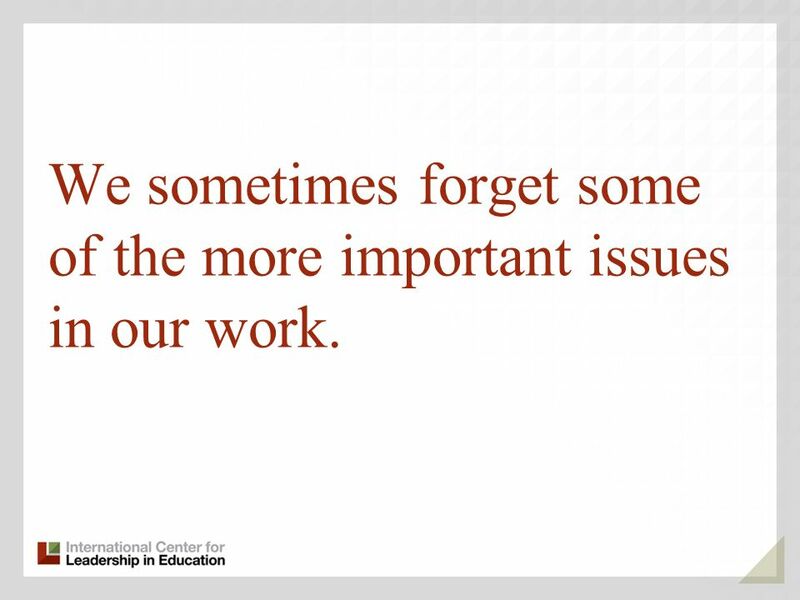 38 We sometimes forget some of the more important issues in our work. 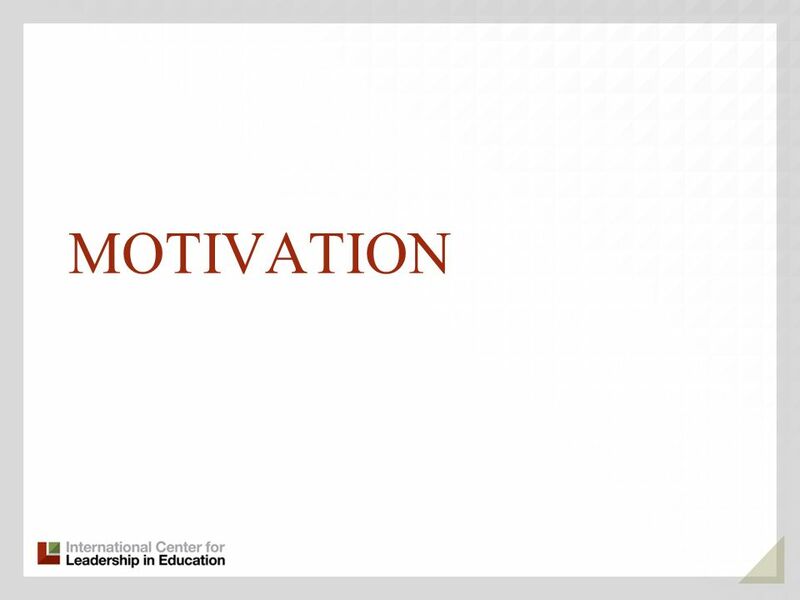 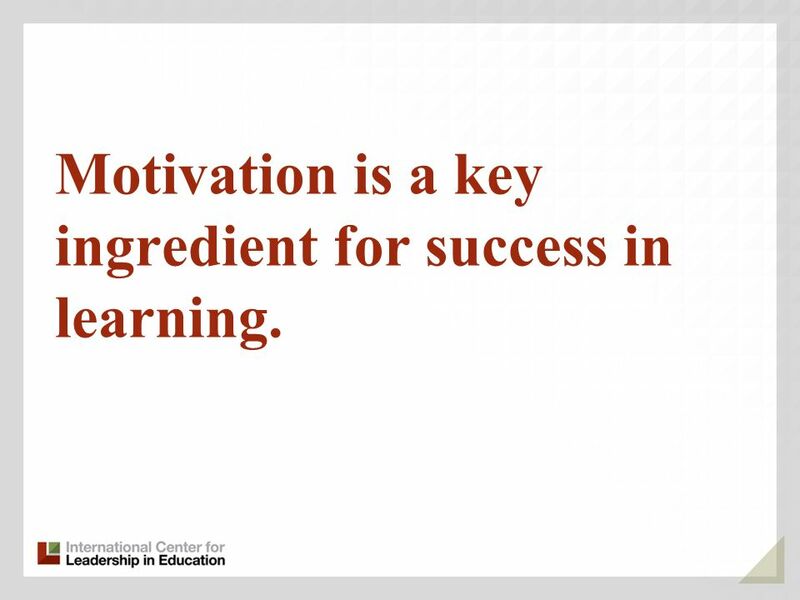 40 Motivation is a key ingredient for success in learning. 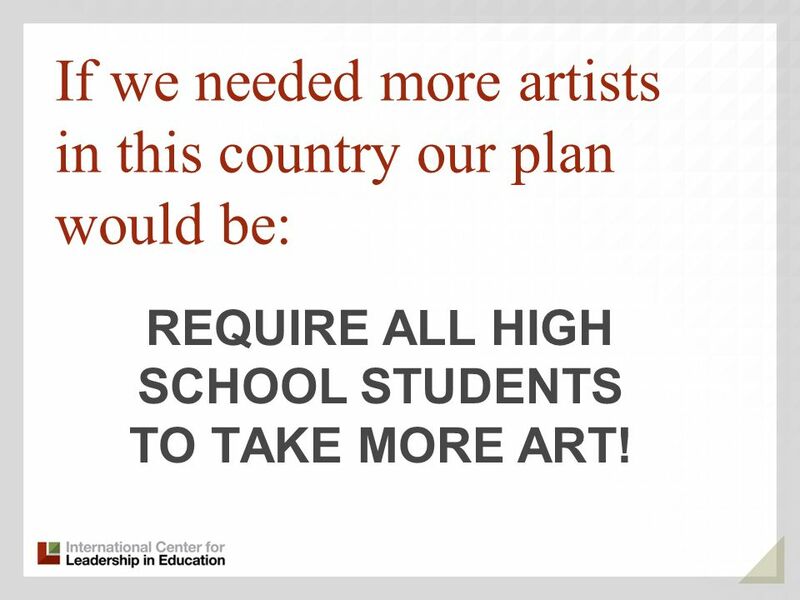 41 If we needed more artists in this country our plan would be: REQUIRE ALL HIGH SCHOOL STUDENTS TO TAKE MORE ART! 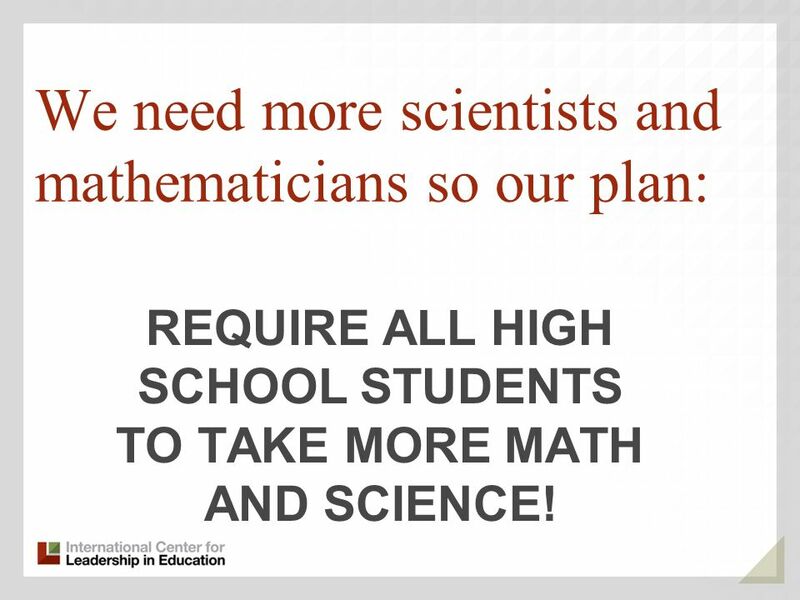 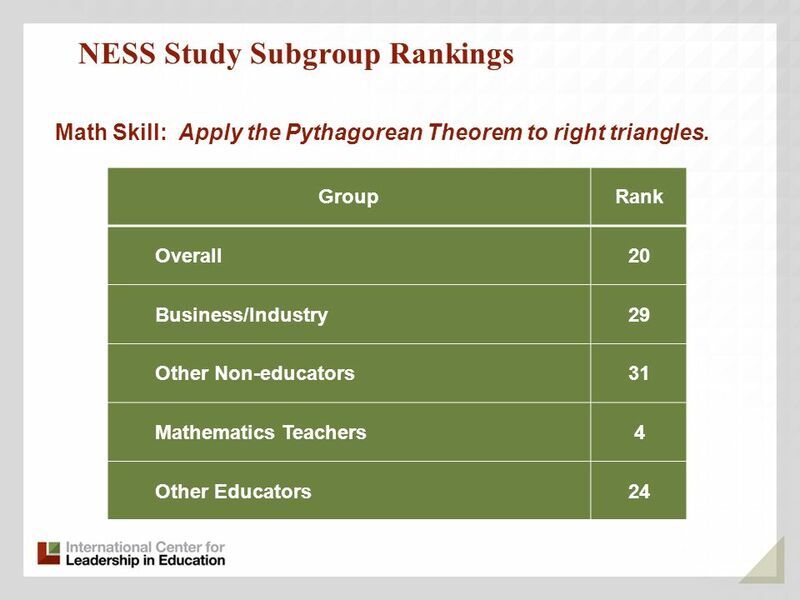 42 We need more scientists and mathematicians so our plan: REQUIRE ALL HIGH SCHOOL STUDENTS TO TAKE MORE MATH AND SCIENCE! 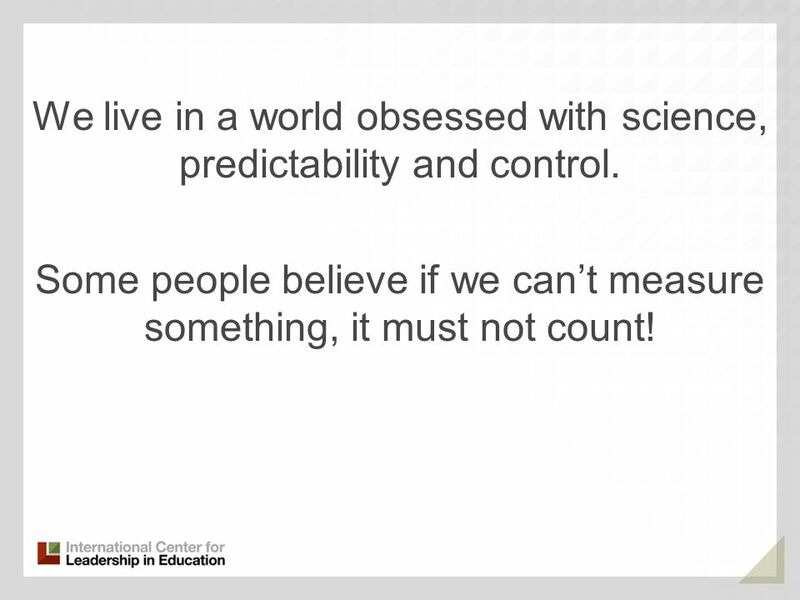 45 We live in a world obsessed with science, predictability and control. 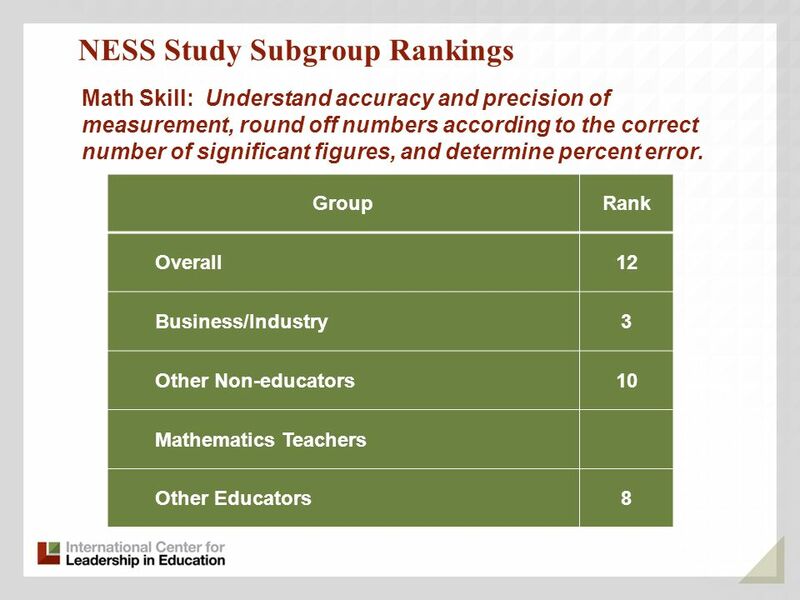 Some people believe if we cant measure something, it must not count! 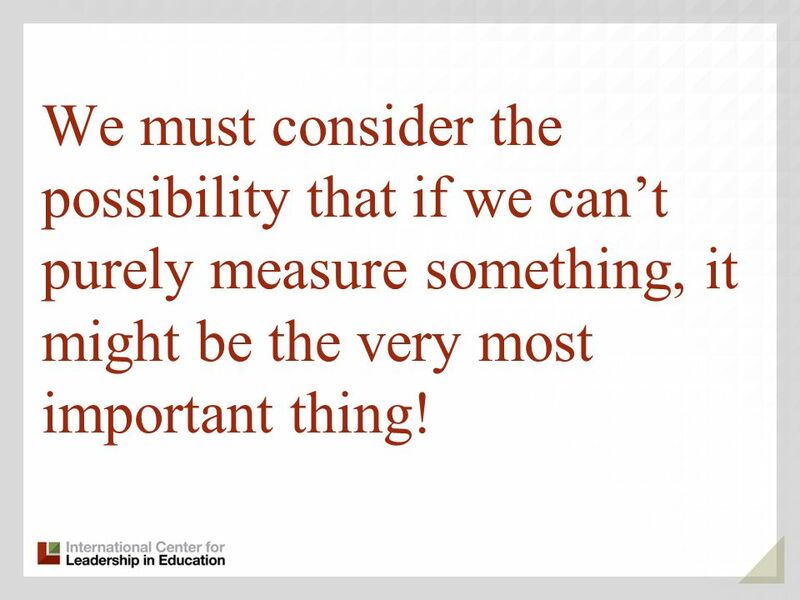 46 We must consider the possibility that if we cant purely measure something, it might be the very most important thing! 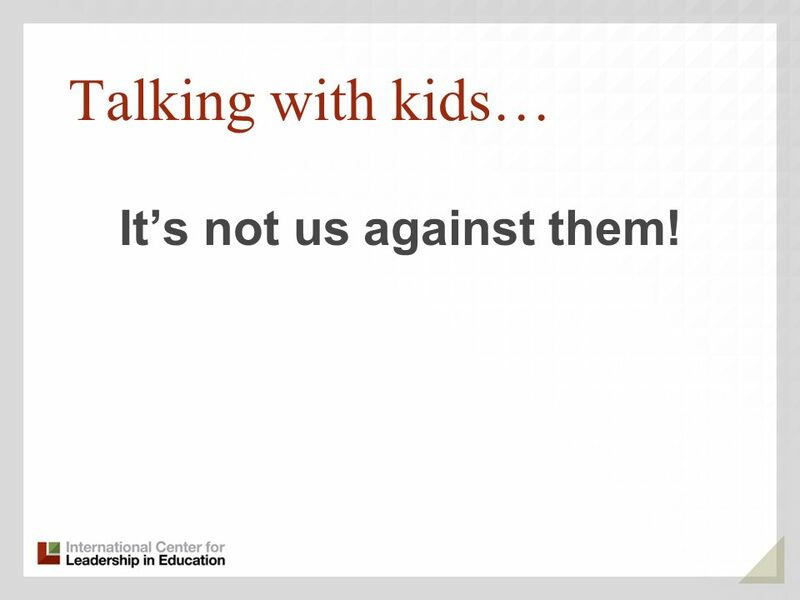 47 Talking with kids… Its not us against them! 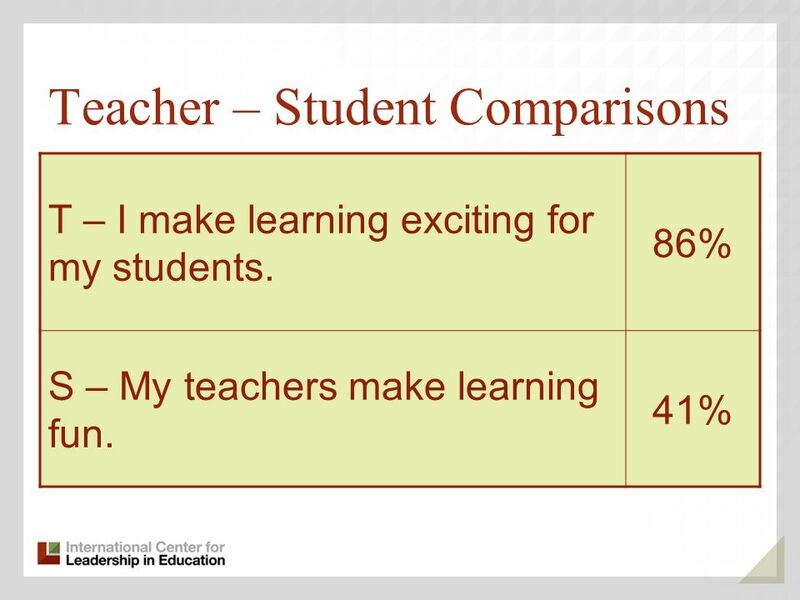 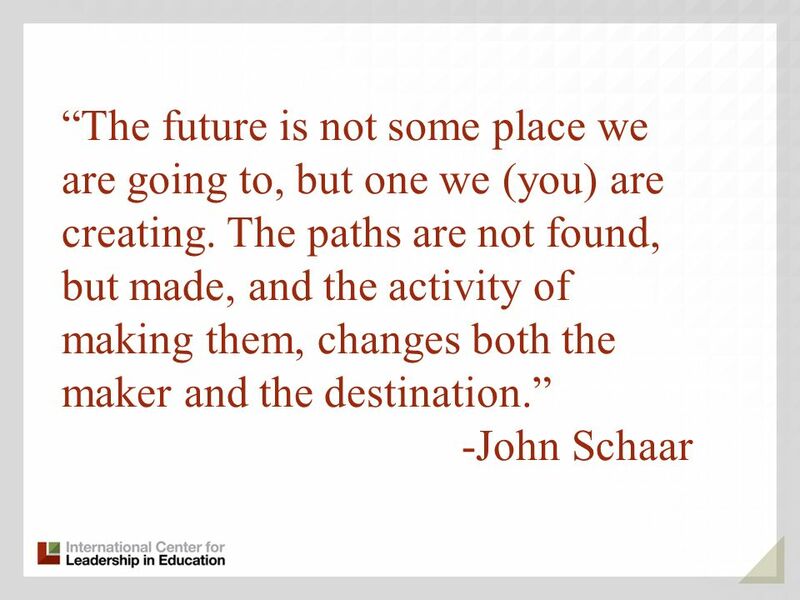 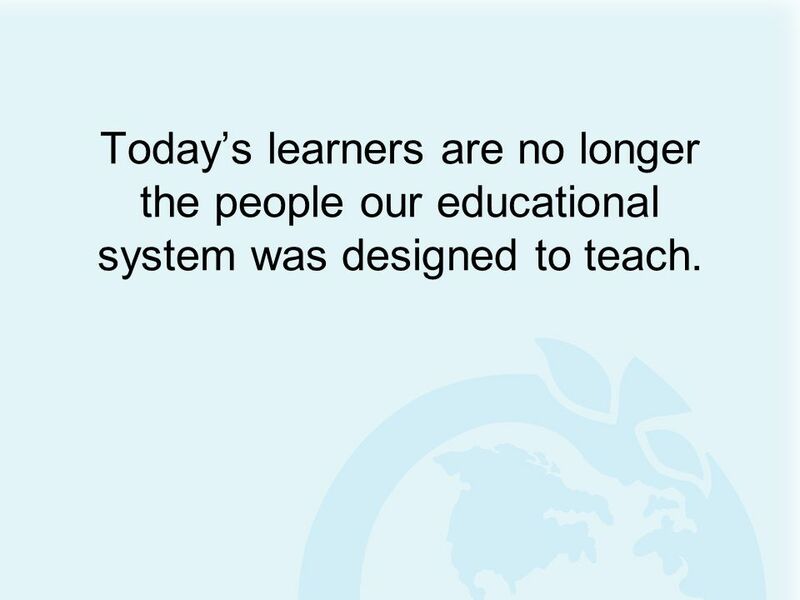 50 Todays learners are no longer the people our educational system was designed to teach. 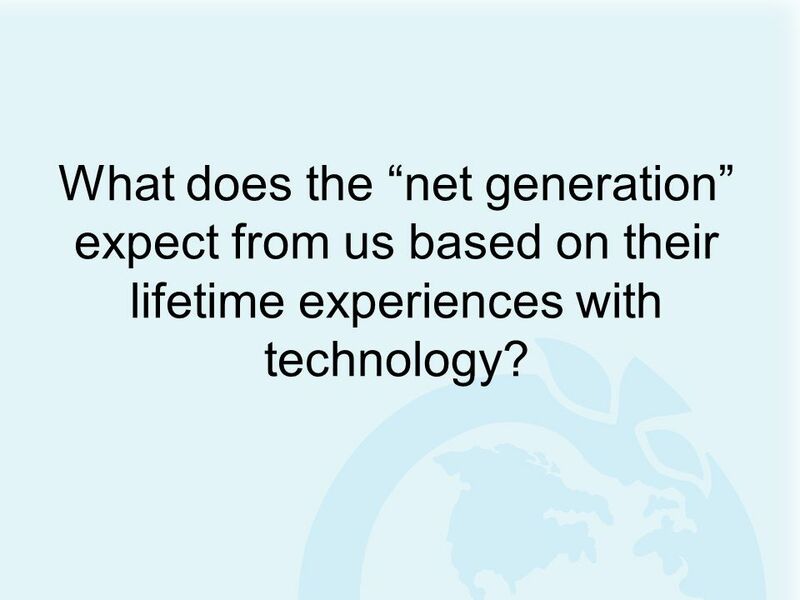 51 What does the net generation expect from us based on their lifetime experiences with technology? 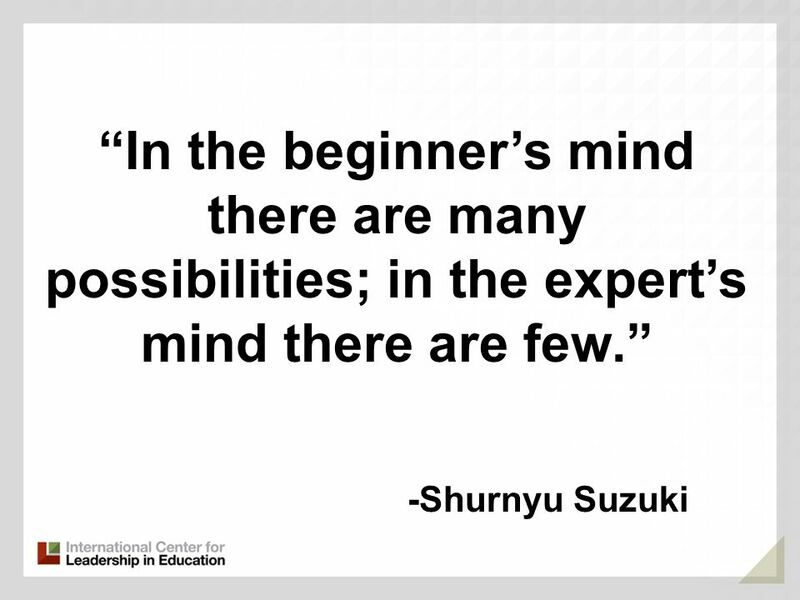 56 -Shurnyu Suzuki In the beginners mind there are many possibilities; in the experts mind there are few. 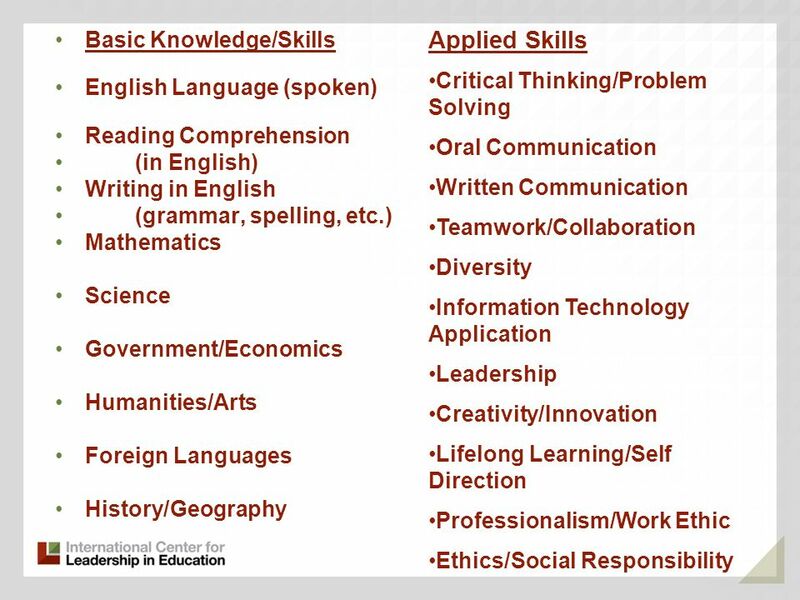 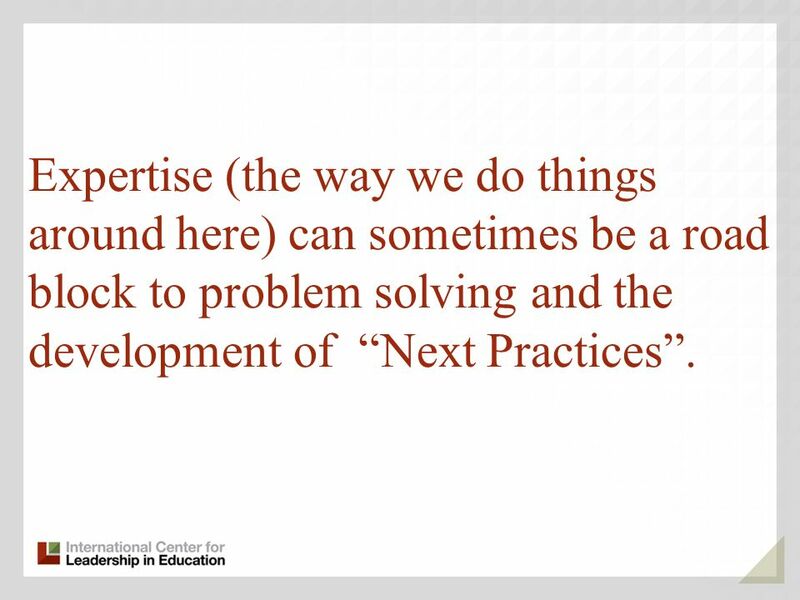 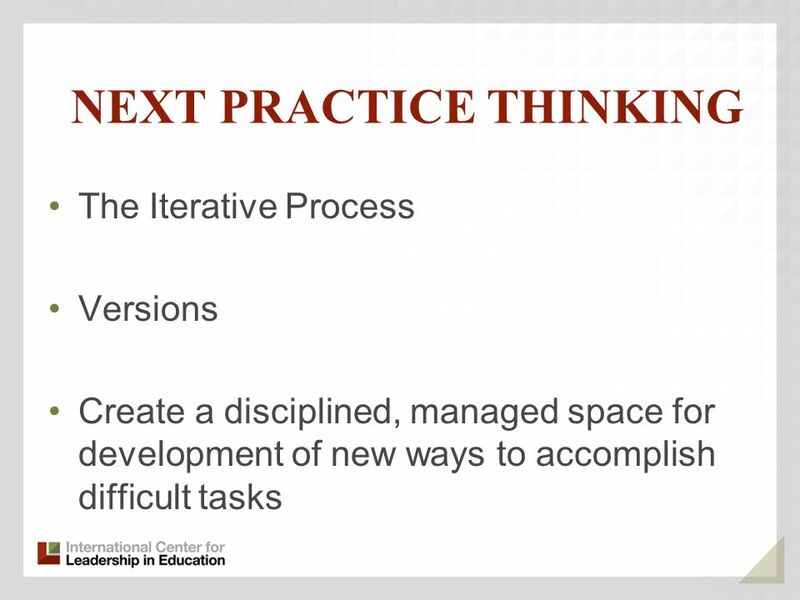 57 Expertise (the way we do things around here) can sometimes be a road block to problem solving and the development of Next Practices. 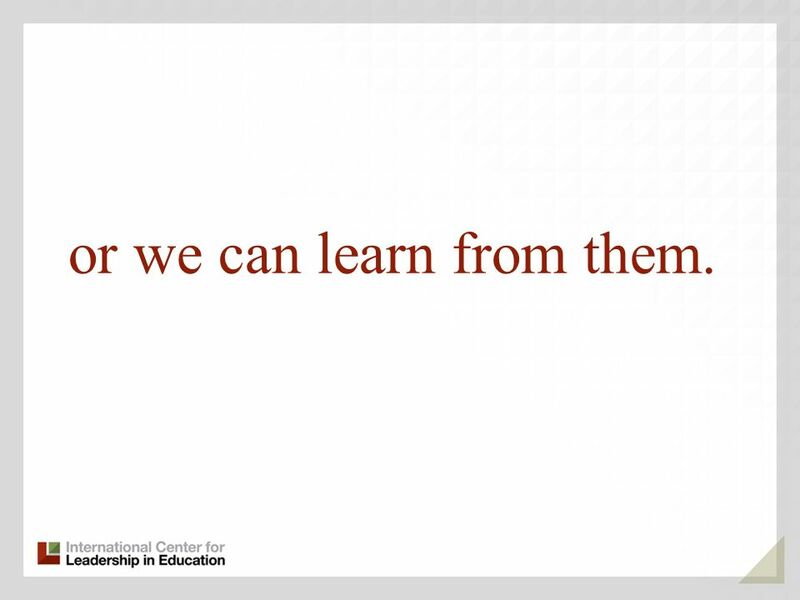 65 or we can learn from them. 67 or we can face them. 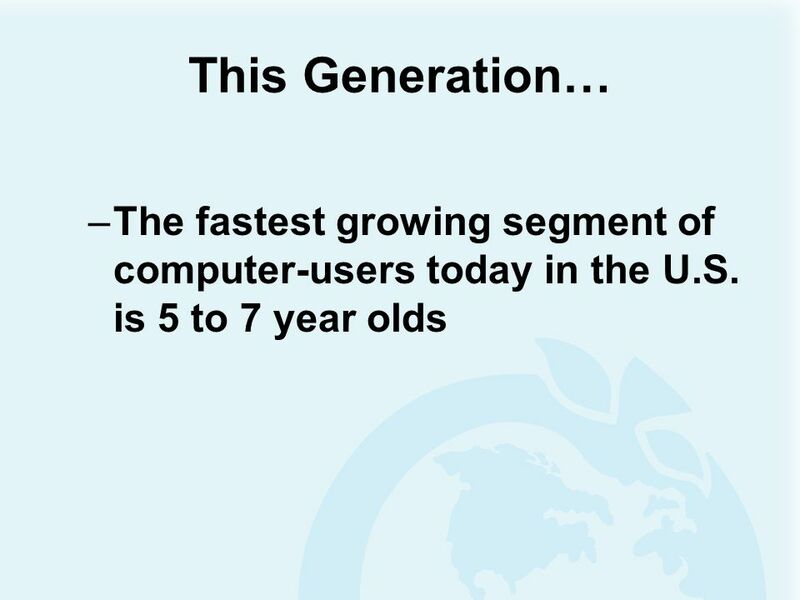 69 OR TOGETHER WE CAN CREATE THEM! 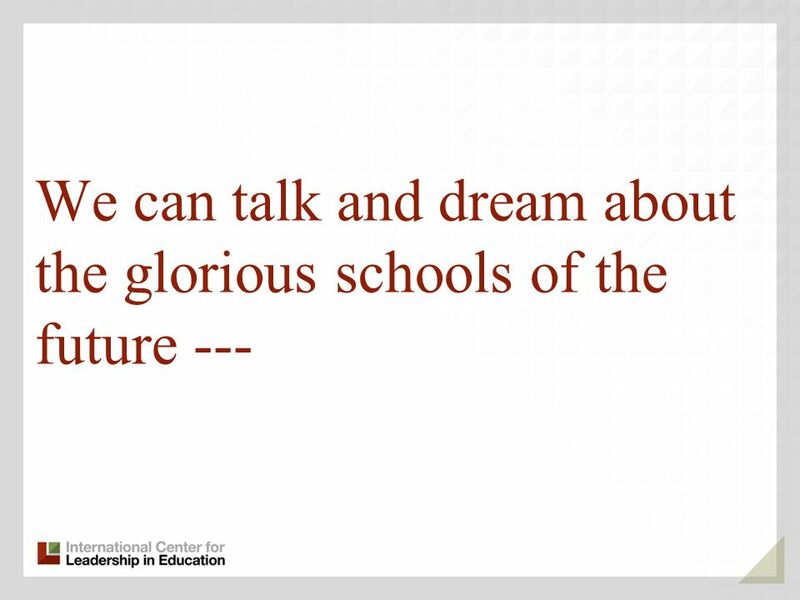 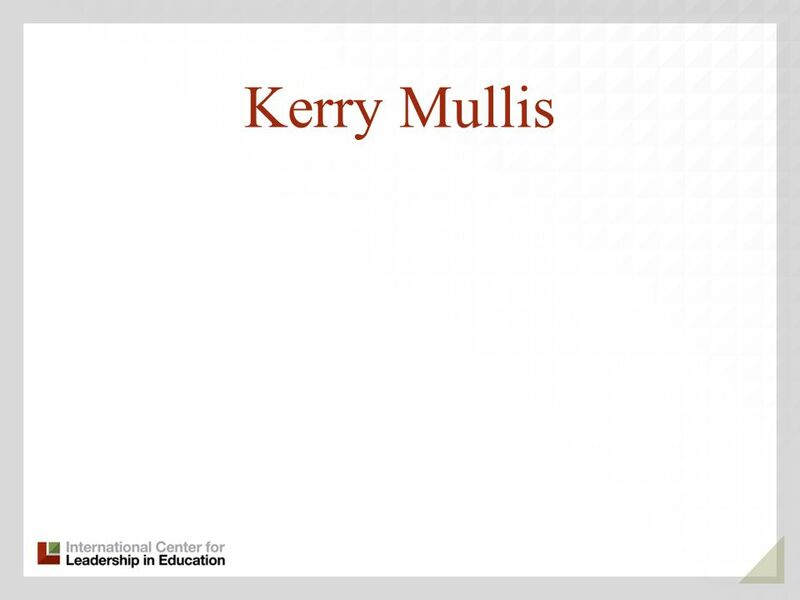 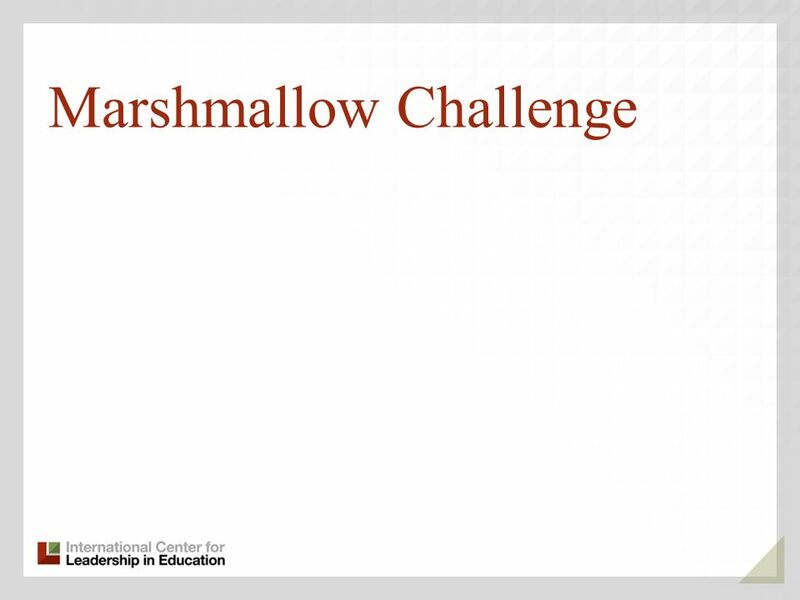 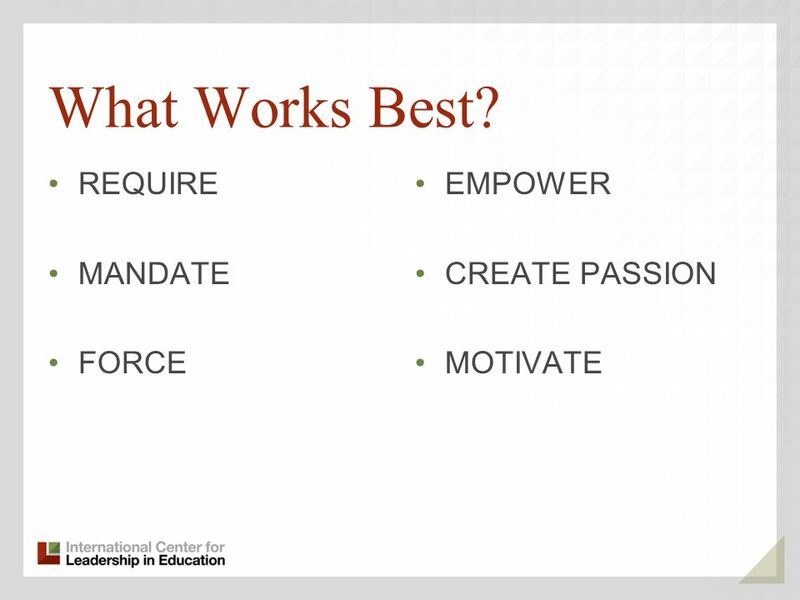 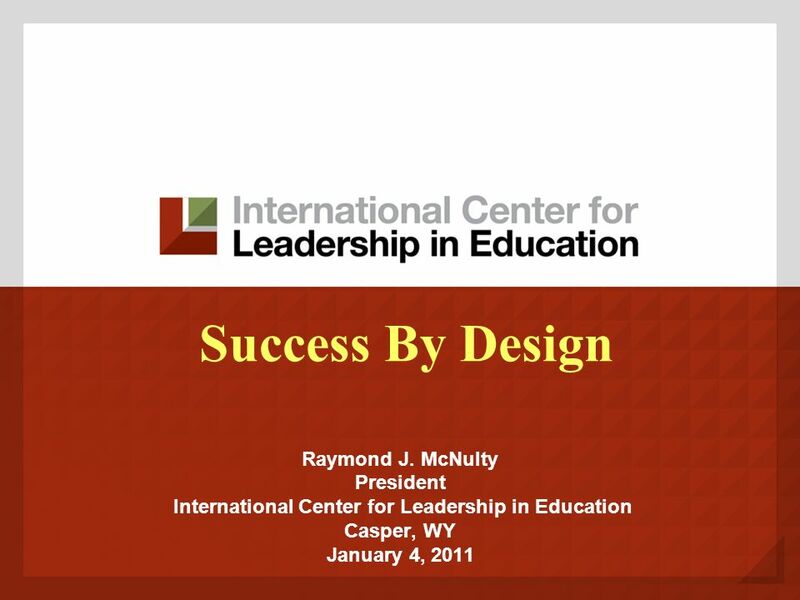 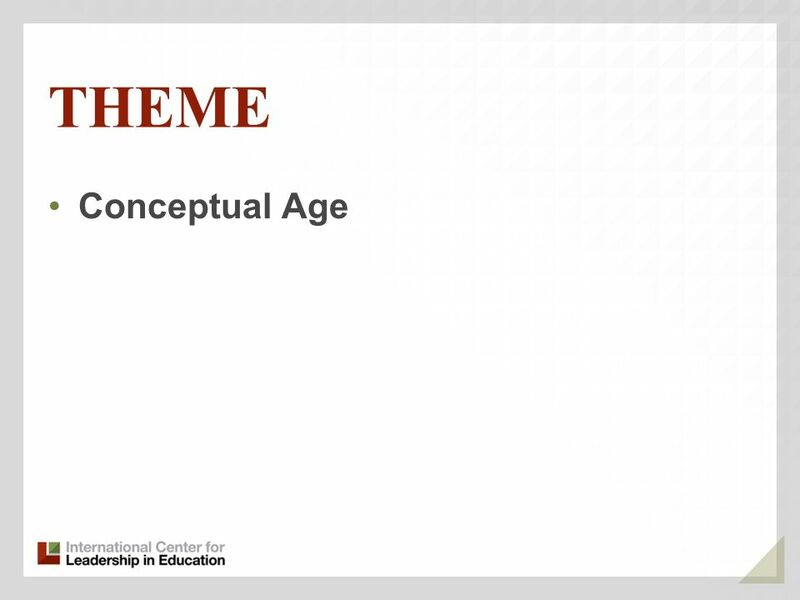 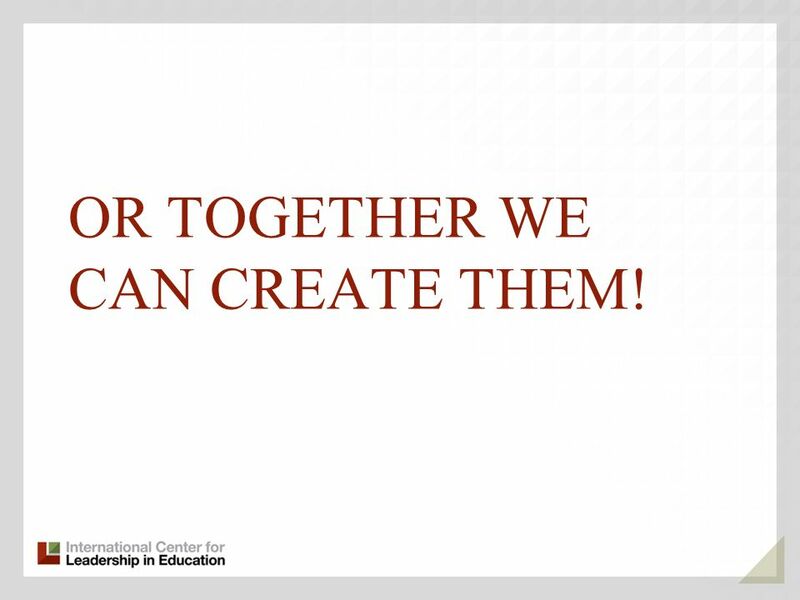 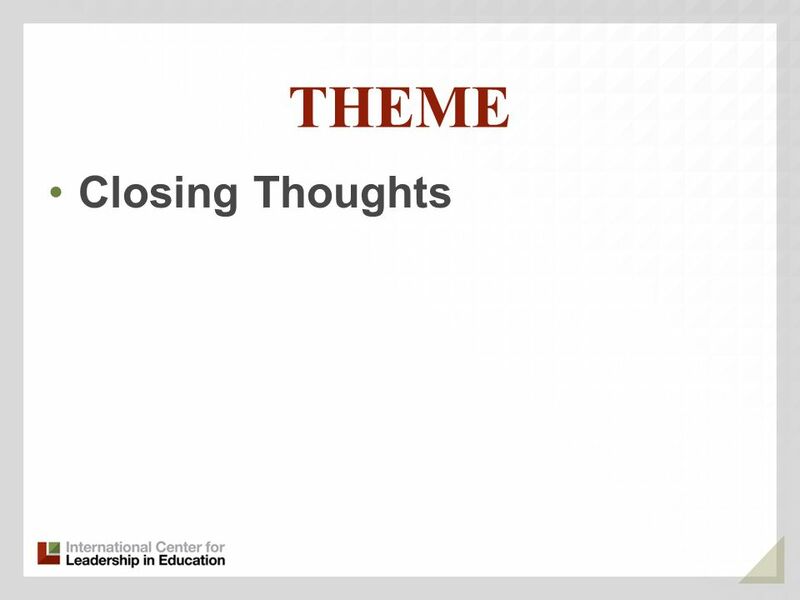 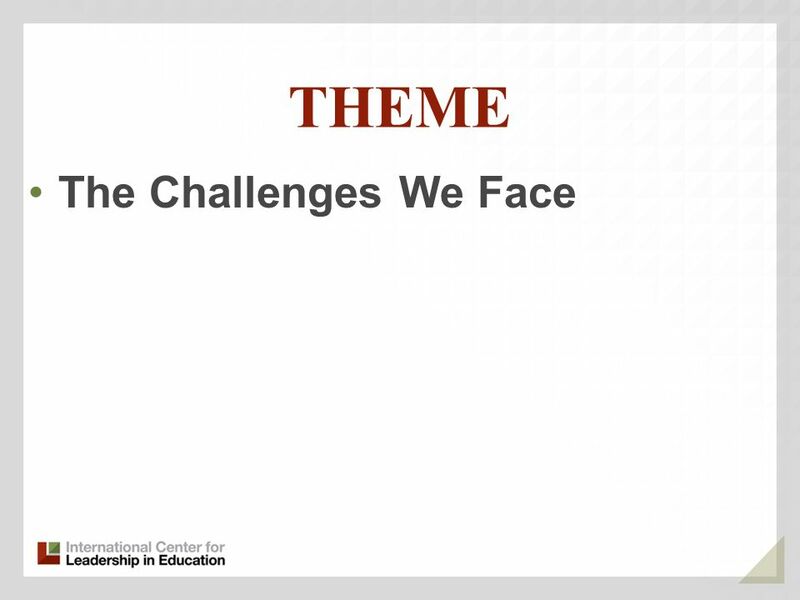 Download ppt "Success By Design Raymond J. McNulty President International Center for Leadership in Education Casper, WY January 4, 2011." 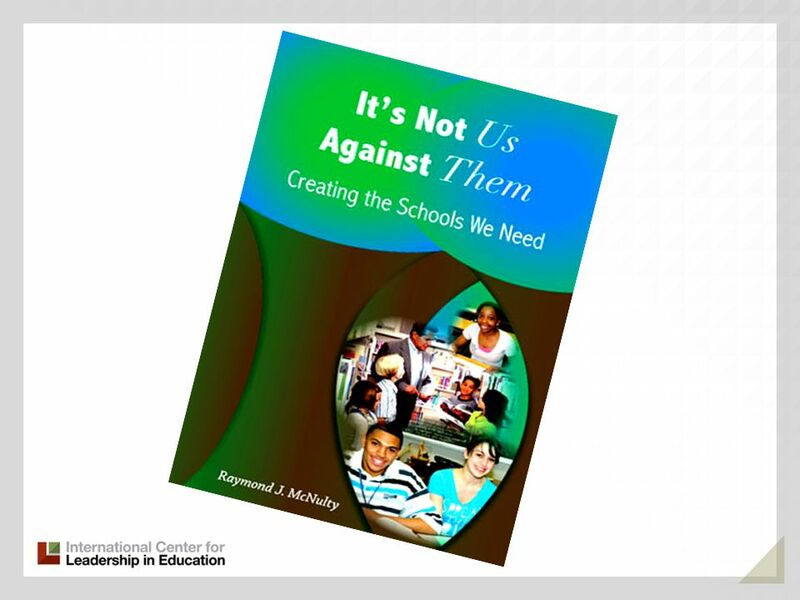 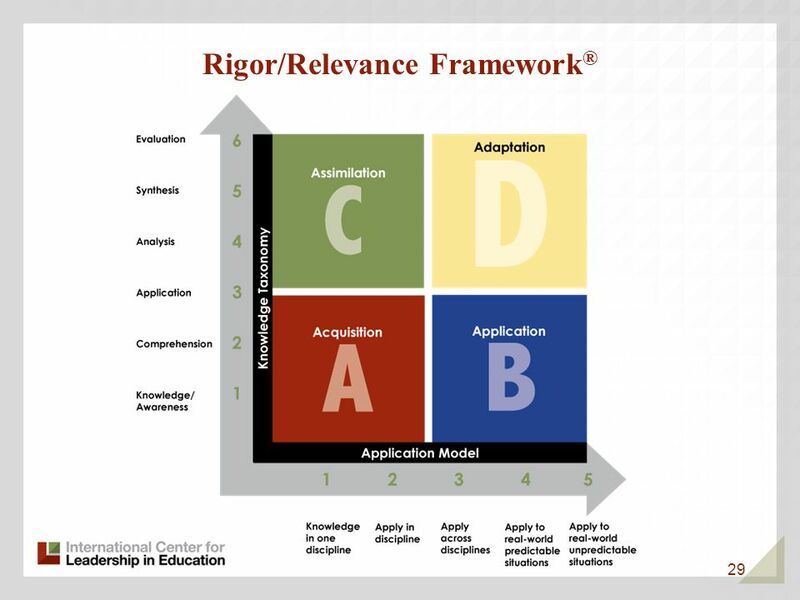 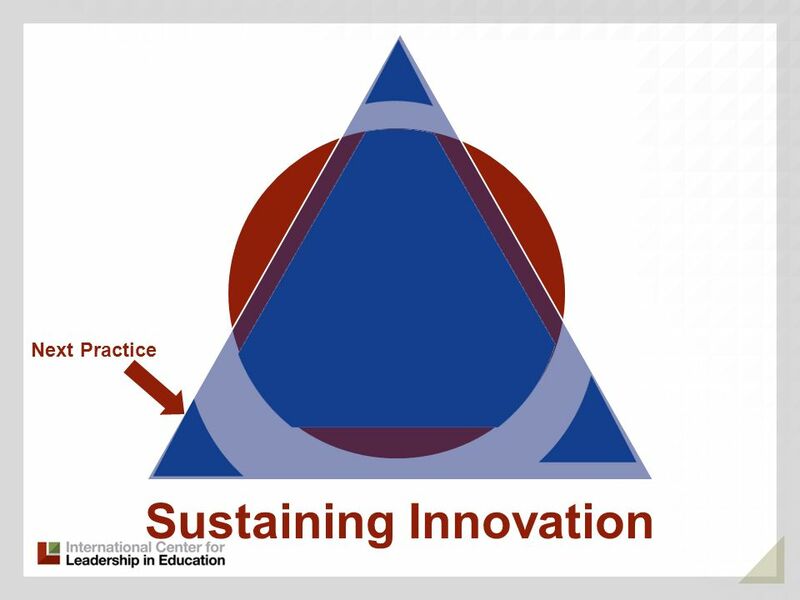 Identify the essential characteristics of successful schools and the most rapidly improving schools Best Practices/Research to assist schools Organize. 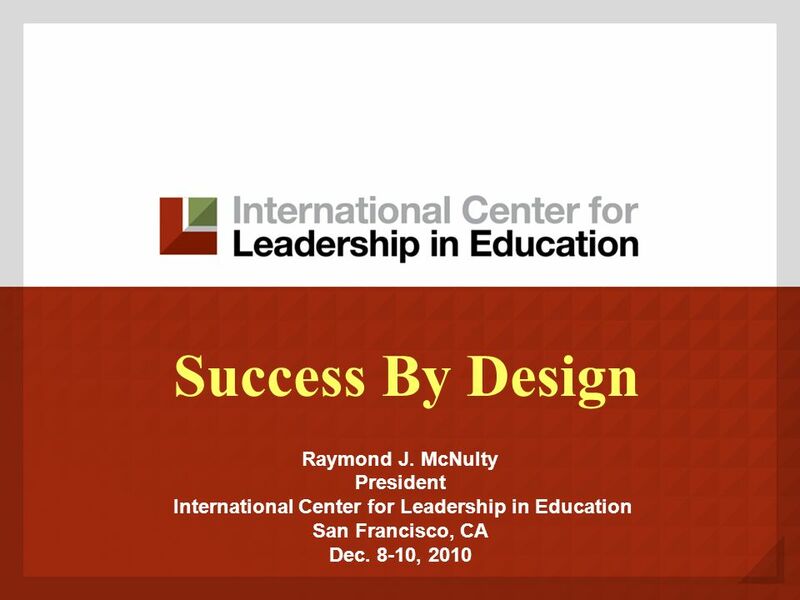 Connecting Successful Practices to Next Practices and the Role of Empowerment Raymond J. McNulty, President International Center for Leadership in Education.